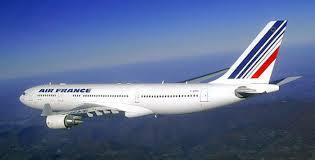 January 15, 2018 – Last week, a draft report was issued as part of the Air France flight 447 court case. This counter-expertise was requested by the judges to challenge the results of the first investigation. The SNPL F ALPA (the main French Airline Pilot Association) is thoroughly analyzing its content. At first sight, the union deems unacceptable to adhere to the report’s simplistic vision, where the responsibility of this tragic event lies solely with the pilots. It is obvious in such an accident that the causes cannot be reduced to a single factor. The factors such as aircraft conception, warning systems logic, manufacturer’s operating procedures, pilots’ training programs and the behavior of both the National Civil Aviation Authority (CAA) and the European Aviation Safety Agency (EASA) must be assessed. Despite what the SNPL could read in a few articles, all those factors have been mentioned in the main draft project, for example how confusing the design of the stall warning system was for the crew. All those contributing factors led to an incredibly complex environment and made the possibility of a safe outcome extremely hazardous and uncertain. SNPL F ALPA will remain actively involved in the investigation in order to ensure that all the contributing factors are considered. It will indeed provide the valuable expertise from those on the front line: the pilots. The Association will stand firmly by what is right. It is only by looking for all the root causes or underlying reasons, and not just by making a reductive statement such as “it is entirely the pilot’s fault”, that we will find the actual causes, and above all, lead to better flight safety.